What we at Hotspex are pondering is, are 6 reactions really enough to deliver emotional insight or are they just muddying the waters? We’ve spent the last 15 years exploring and trying to understand the nuances of the human mind as it relates to behavior. 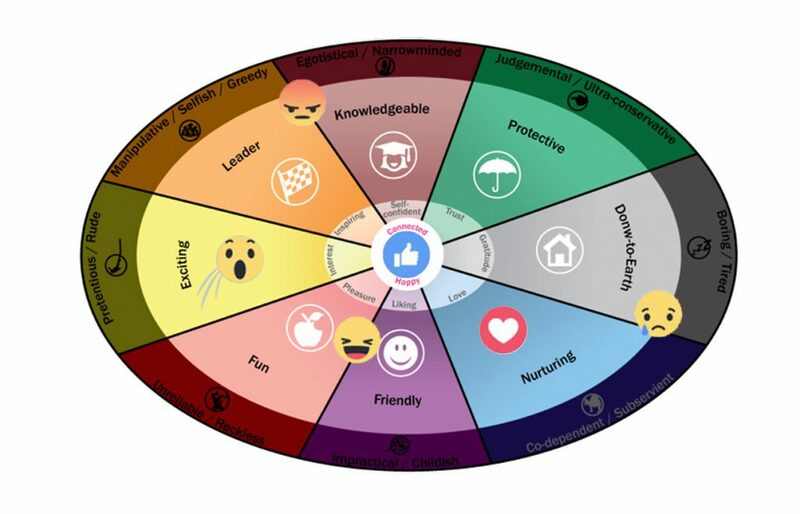 So here’s the Hotspex take on how helpful each of the new Facebook reactions is at helping you better understand how consumers feel about your brand. In this increasingly cluttered world of content and advertising, knowing what people like is no longer enough to help marketers win. A ‘like’ demonstrates a form of explicit approval, but is it really much more than a traditional sign of empathy? This is why advertisers have been pressuring Facebook to create more advanced ways to measure the emotional reaction to their ads for almost as long as the platform has been around. Facebook users have been clamouring for the new ‘love’ reaction for quite some time. As Dacher Keltnerthe, a UC Berkeley social psychology professor who has consulted with Facebook on methods of expression for its users, noted,� “When we built the stickers for Facebook the most common thing people sent was love.” But what does the heart really mean? Does it represent familial, puppy, or romantic love? Will you as a marketer really understand what your customers mean when they throw a heart your way? Sure it’s a step up from being liked in terms of validation, but is the new beating heart reaction the sort of love your brand is looking for or is it going to become a form of ‘super-like’ indicating users like the content a lot. There are a lot of ways to communicate laughter on the Internet. LOL, ROFL, LMAO, various emoji’s, stickers, GIFs and even a few real words. This new reaction brings them all together under one umbrella that allows for easier tracking. Brands looking to elicit a humorous response from their viewers now have one simple way to measure their success. However, with this addition comes the age old question: Are they laughing at you, or with you? The WOW reaction could be interpreted in several different ways. It is clearly related to some form of interest, but similar to our attempt at understanding the love reaction, what kind? Is it ‘excitement’ or ‘shock’? Will the wide eyed face come to connote awe and inspiration? Or will it come to symbolize the ubiquitous Facebook sentiment of “why would you post that?” It will be interesting to see how users interpret this reaction, as their actions will ultimately drive its inherent meaning. Facebook users have been clamouring for a way to express disapproval for some time and the sad emoji reaction is one of two ways to do it. This is not only a relief for users who now have an outlet for expressing sympathy for a tragedy or piece of misfortune, it is also an opportunity for advertisers to measure negative sentiment towards brands. At Hotspex we know that that negative emotions are 3 times as powerful as positive emotions. But again, there could be possible misinterpretations. Was the brand trying to elicit sympathy or is the consumer disappointed with what you’ve said? Anger, the second of two new negative emotions, has more emotional charge than the sad face reaction. Will irritated consumers punish brands with that red furrowed brow in response to advertising that is not targeting the emotional ‘Right Space’ of their category? Or, will the advertising intentionally target this emotion by courting indignation and then pose their brand as the solution? Taking a look at these changes through the lens of a marketer, we see one common theme across all these new reactions. Emotions are complex and often multidimensional. In fact, Hotspex was built on the foundational understanding that consumers struggle to express their emotions accurately. Our research has found that not only are there far more than 6 emotions, but the sheer amount of nuanced emotions means that many are interrelated and therefore hard to interpret through such a singular lens. While the addition of more reactions gives advertisers access to more data than they had before, it’s going to be a wild and bumpy ride as brands learn to navigate a new online emotional landscape that is becoming increasingly complex. If you would you like to carry on the discussion about these new and improved emotional reactions or learn more about the nuances of emotion and human motivation,� please let us know. As Brand Builders, we leverage insights about emotions and human motivation to help global brands accelerate their growth. « Superbowl 2016: Why not so serious?